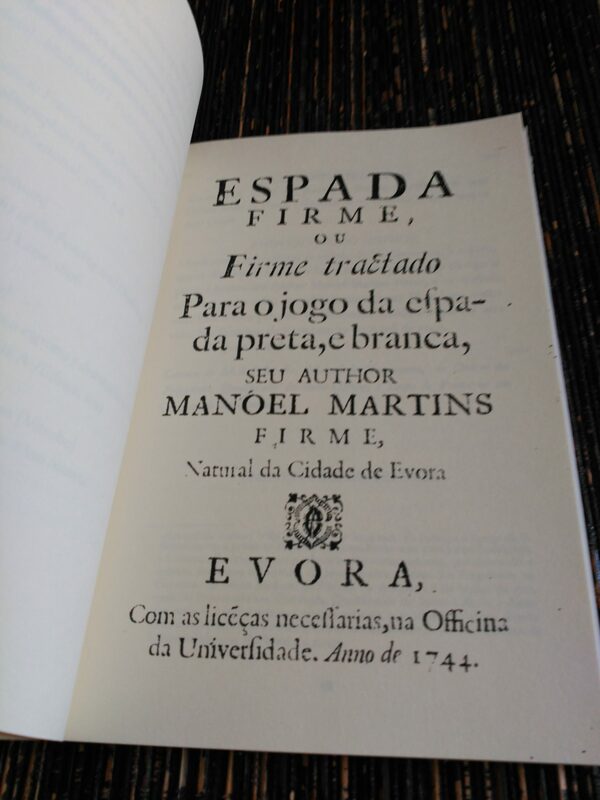 The Espada Firme de Manoel Martins Firme is an eighteenth-century transition text in which the rapier is disappearing but the smallsword fencing has not yet completely supplanted it. 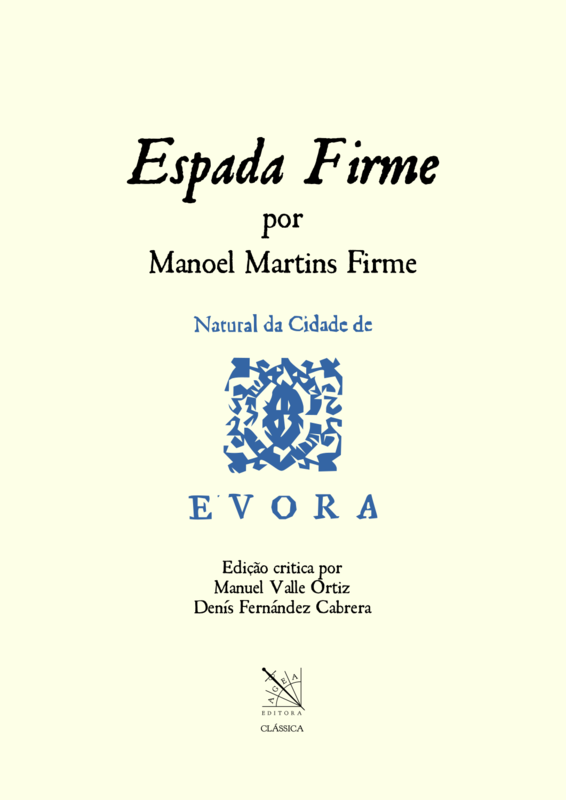 A work undoubtedly of interest to anyone studying the eighteenth century or, simply, for anyone who wants to have a complete view of the evolution of fencing in the peninsula throughout history. 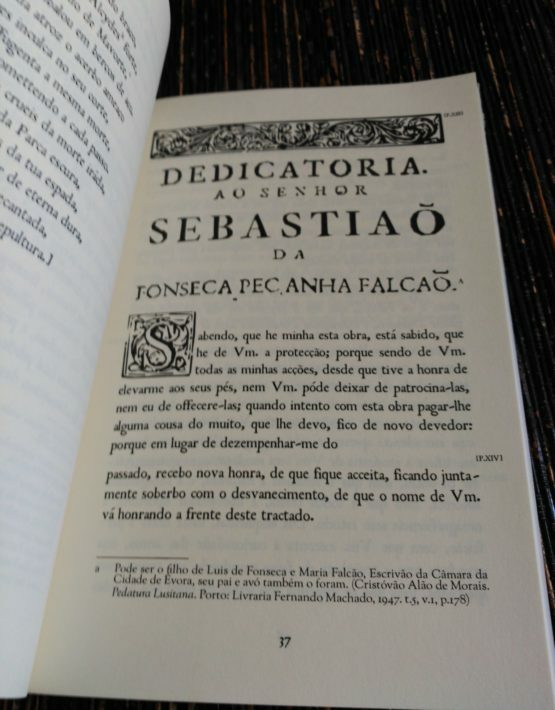 The eighteenth century is a period of transition between the Destreza which was dominant in the seventeenth century and the modern fencing, of fundamentally French influence, which was imposed from the nineteenth century onwards. 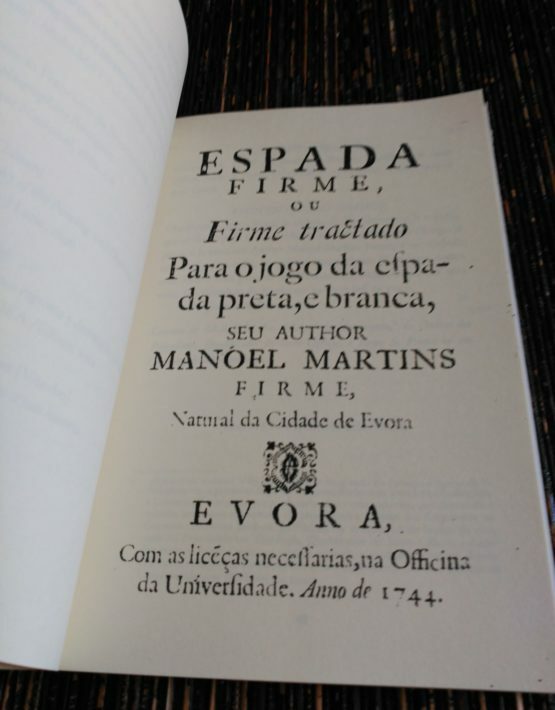 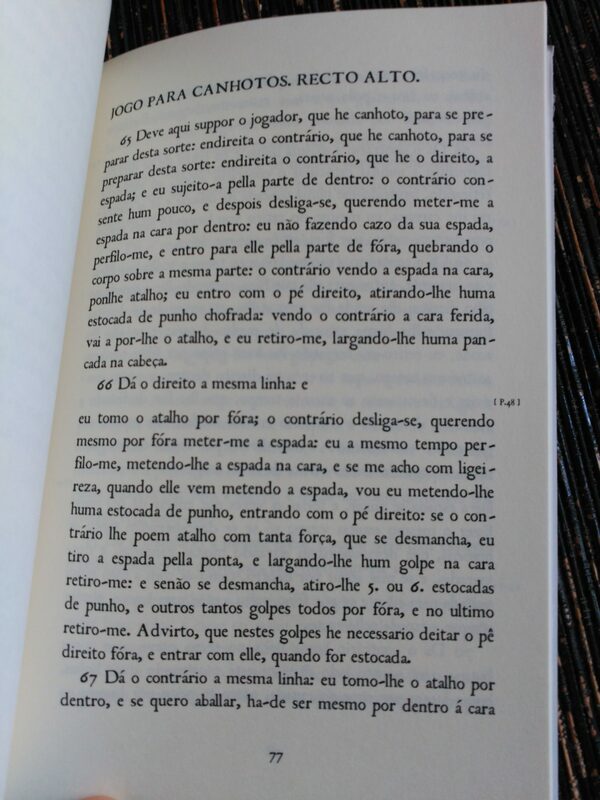 In contrast to other European territories where the production of works is more intense, in the Iberian Peninsula of the XVIII century the creation of fencing books is scarce, unlike the centuries before and after it. 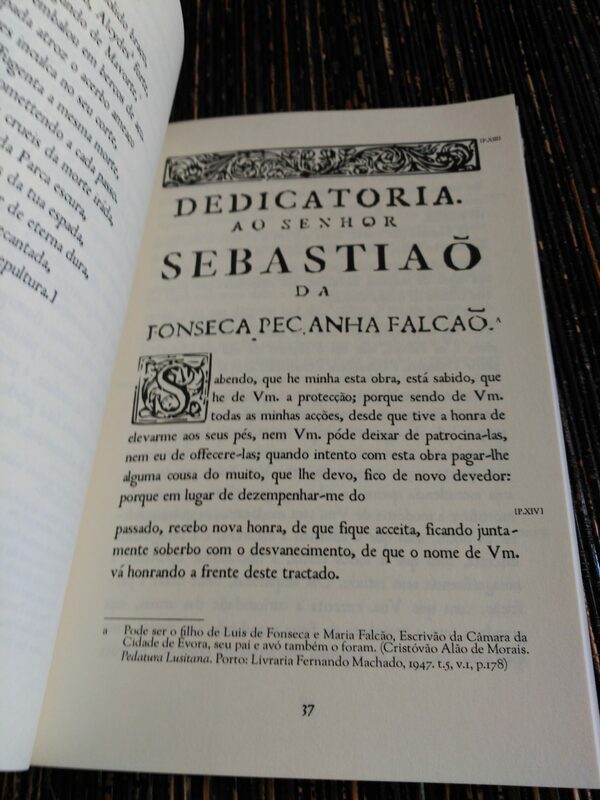 Therefore, it is interesting to study the few works that have survived, to try and know to what extent those new techniques and concepts were incorporated, while notions and terminology of the Destreza persisted or were abandoned. 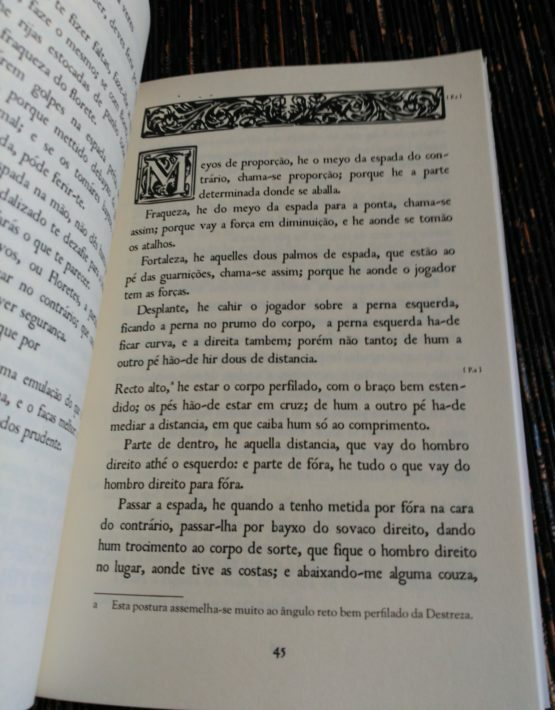 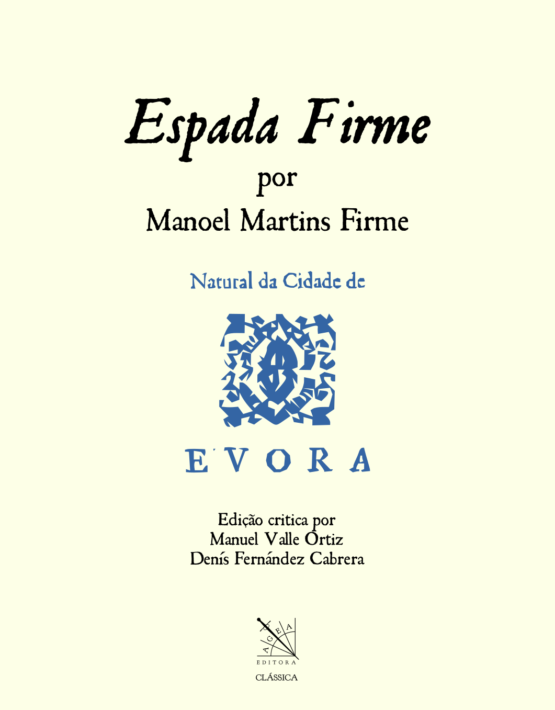 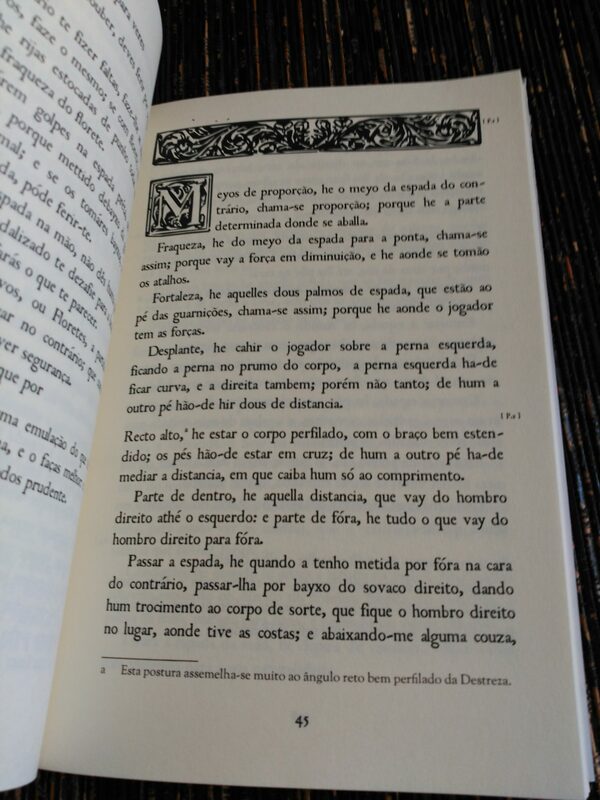 The Espada firme de Manoel Martins Firme (title and author being joined together in a deliberate pun, for espada firme means «firm, steady sword», and indeed to afirmar-se na espada is to set yourself in place, with your sword ready to fence –but at the same time Firme is the surname of the author, who shows thusly a nice example of period humour) is one of these texts of transition in which the rapier is in disappearance but smallsword fencing has not yet completely supplanted it. 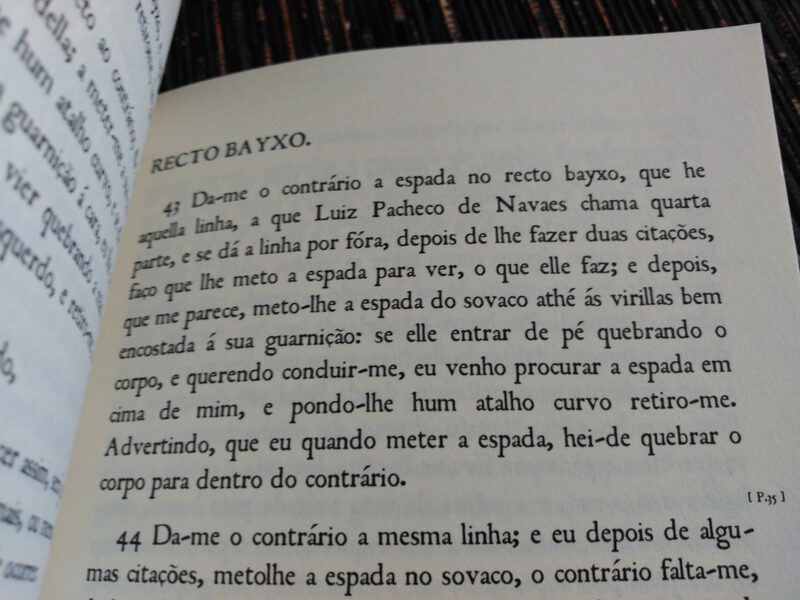 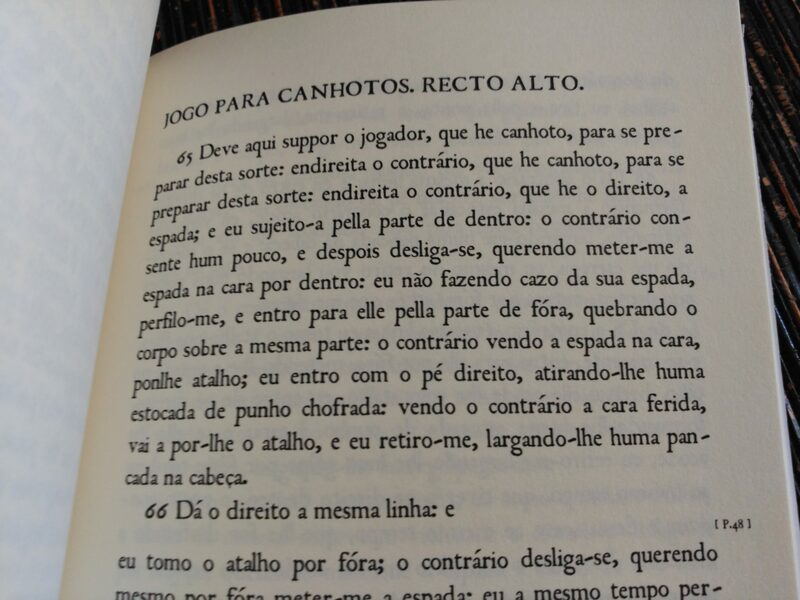 The last section is of considerable interest due to its mere existance: the author evidences, not unlike Thomas Luiz (text in english available) did about a century earlier, different styles of fencing for the school or sport and for the real duels. 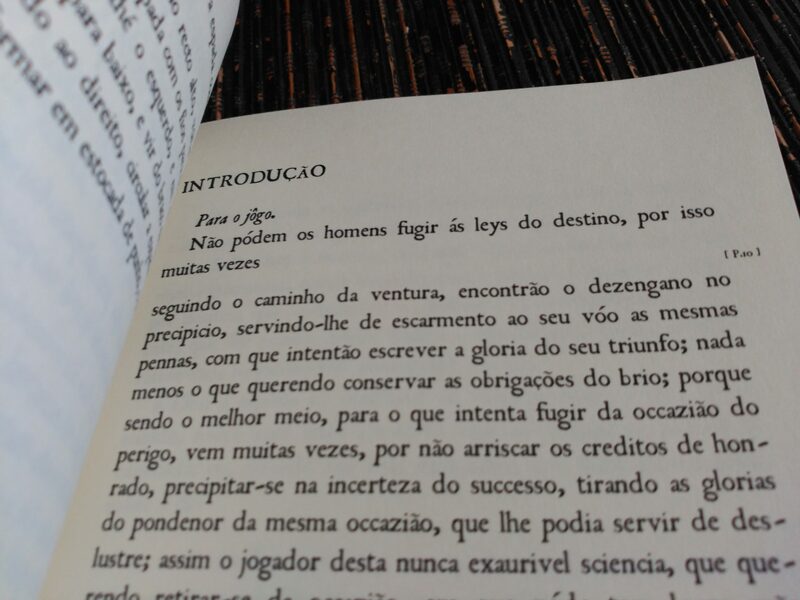 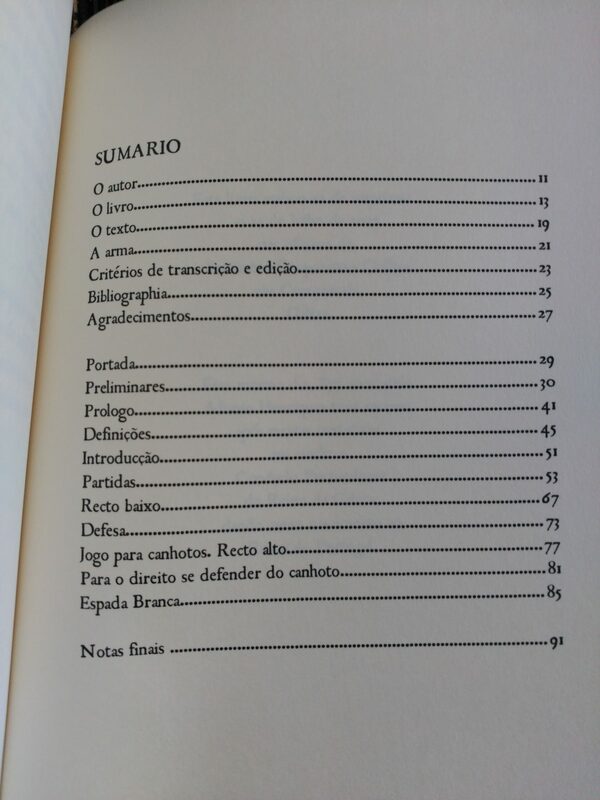 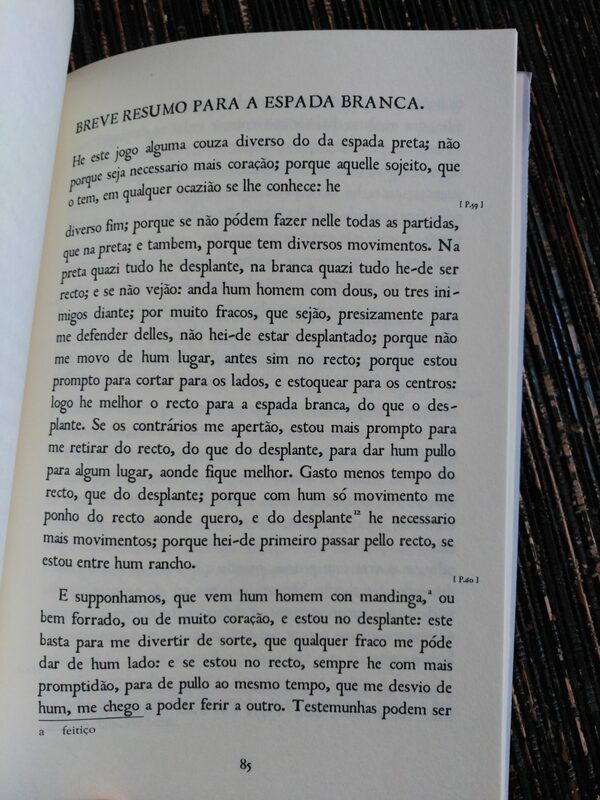 Papel marfim de alta gramatura. 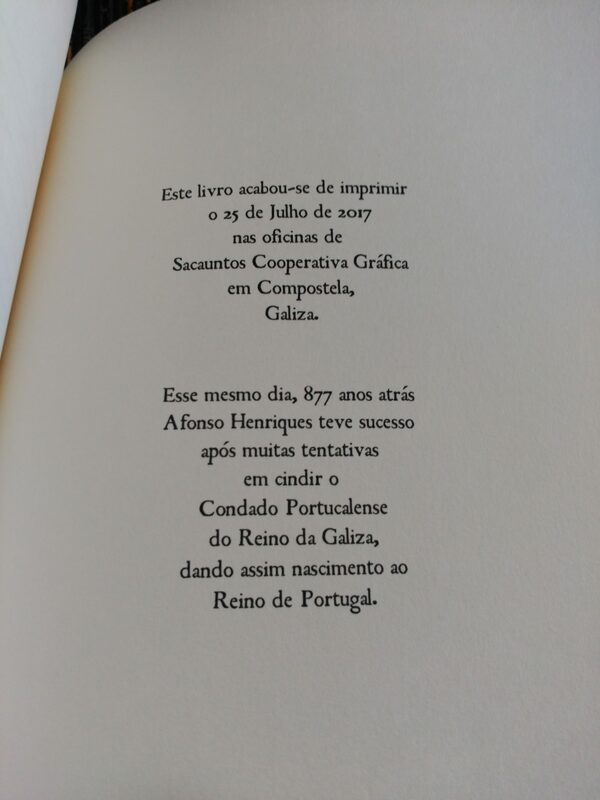 Capas em cartolina verjurada.